Thanks to the North Norfolk Pathfinder Project, Happisburgh has a wonderful new Car Park with toilets, and access to the beach via an earth ramp. The car park can be found at the end of Beach Road, and is well signposted from Whimpwell Street that runs through the centre of the village. SCHOOL PARTIES PLEASE NOTE: Beach Road is not suitable for Coaches – it is narrow and there are no turning areas for large vehicles. We advise you drop off on Whimpwell Street, or in the Wenn Evans Centre car park. 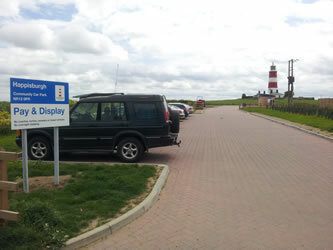 All proceeds of the car park are used within the parish of Happisburgh and support the maintenance of these facilities. Motorcycles are free. Motorhomes (or other permitted vehicles) that extend beyond the marked bay must purchase a ticket for each whole or part bay used. Disabled drivers displaying a Disabled badge are NOT exempt from parking charges. However for verified disabled drivers an additional 30 mintes beyond the ticket expiry time is permitted. 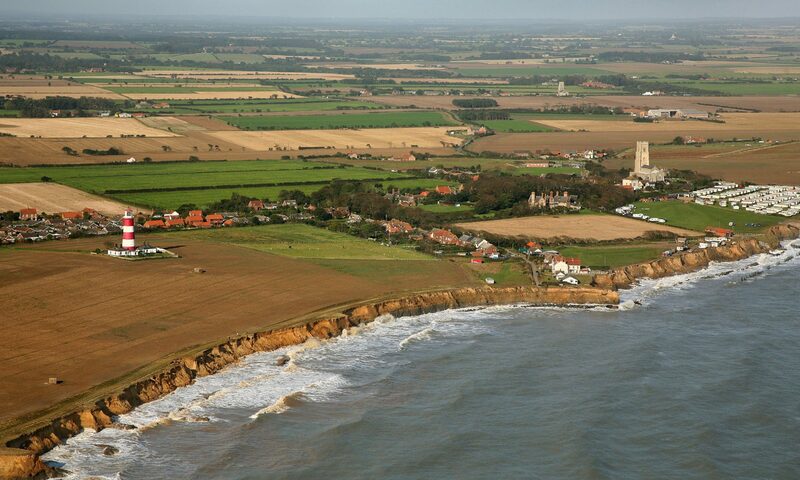 The car park is an excellent place to follow the Happisburgh Heritage Trail – a 1.75 circular walk that takes you past landmarks and historic buildings in Happisburgh.